Windows 10 ISO Download: If you have ever tried to boot your PC from scratch yourself only, Then you will surely agree with the fact that the most difficult task is to find the ISO file apt enough to get the things started. It’s not that you can’t easily find the genuine downloads, its that you can’t easily find the genuine downloads of the correct copy of the windows. Or the one with the exact correct checksum, if you are one of those tech geeks. And the whole process becomes even more irritating when you download the whole 4+ GBs, burn it to a disk only to find that the whole thing was a waste (along with the 20 bucks for the disk) as the copy you used has some of the files missing. Following the guide, you will be able to Windows 10 Pro ISO free download full version for both 32 bit and 64 bit. 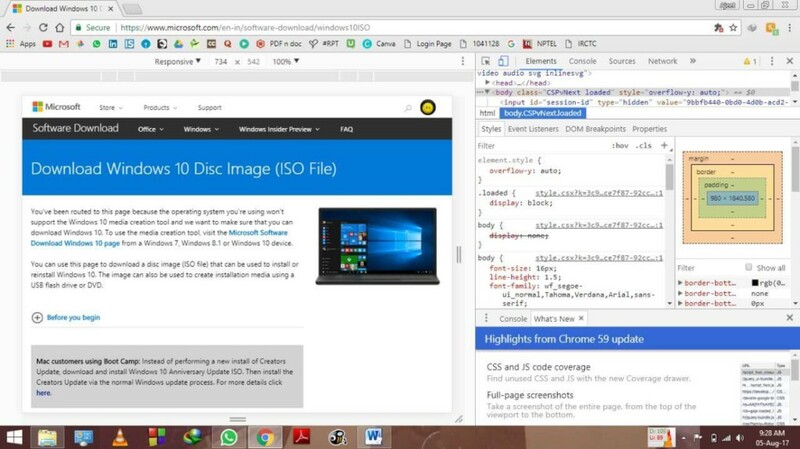 You can Download Original Windows10 Pro ISO (DVD) from their Official Microsoft Link with the Windows 8 product key. So, to spare you all the trouble, we are here to show how to download the ISO file of the latest Windows 10 from the very official source. But before we start, let’s have a look at this latest version of the windows. With improved security features and pre-packed with futuristic features like Cortana, it is the simplest and easiest of all windows till today. It is actually a blend and update of Windows 7 and windows 8 with some entirely new features that are amazing to handles. Related: Windows 7 Product Key. Here are system requirements of Full Windows10 (Pro + Enterprise). Follow the steps to download the latest version of Win 10 at any time. 1. 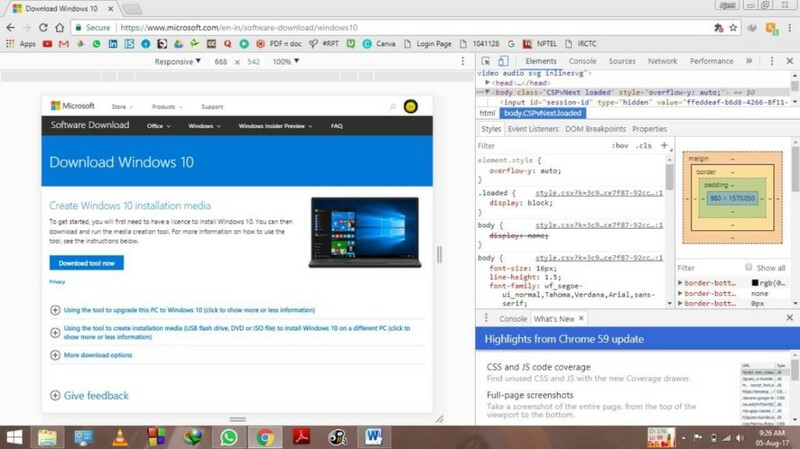 To start with, go to official download source of the Microsoft- https://www.microsoft.com/en-in/software-download/windows10. 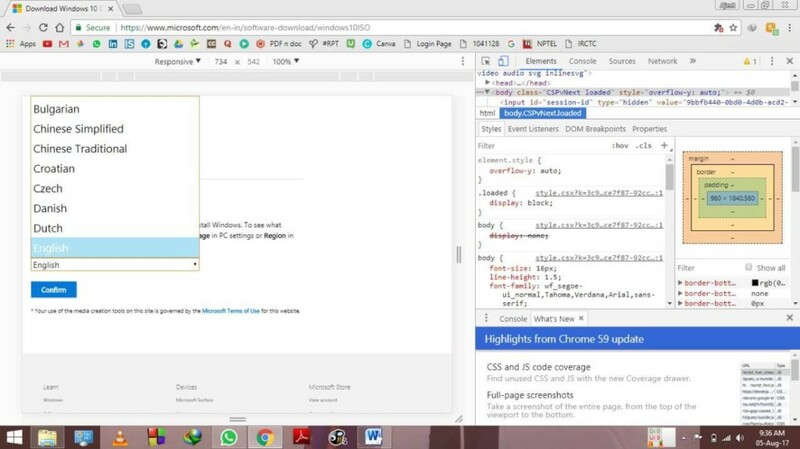 I would recommend that you use Chrome browser for this whole DIY tutorial. Anyways, as soon as you land here, you will be provided with the option to download a media creation tool which will help you install windows on your system of creating a bootable drive for another computer. But, if you have gone through all this, then you must be knowing that it’s all to no avail until and unless you have bought legal product key of windows. So, we got to employ some other way. 2. Click on three vertical dots on right top of the browser. From the options list, select “More Tools” and thereon click on “Developers Tools”. 3. You will be presented with a plethora of developer options on half of your screen. From the half of the screen with these tools, click on a toggle button on left top stating “Toggle Device Toolbar”. Or simply press Ctrl + Shift + M.
4. After this left half of the browser will convert itself as if being viewed on a smartphone. Refresh this page. 5. From this page, select your desired edition of the windows and click on “Confirm”. 6. After that, you will be asked to select the language. 7. That’s all! Select your edition and the download starts. It is to be noted here that, the ISO image will be valid for next 24 Hours only. After the download is completed, you can simply burn this ISO file to a disk drive and use it for booting your system. Microsoft has restricted the download of Windows ISO file for some unknown reason. It’s just for the Windows operated systems. If you have MacOS, you can download it the ISO file easily. 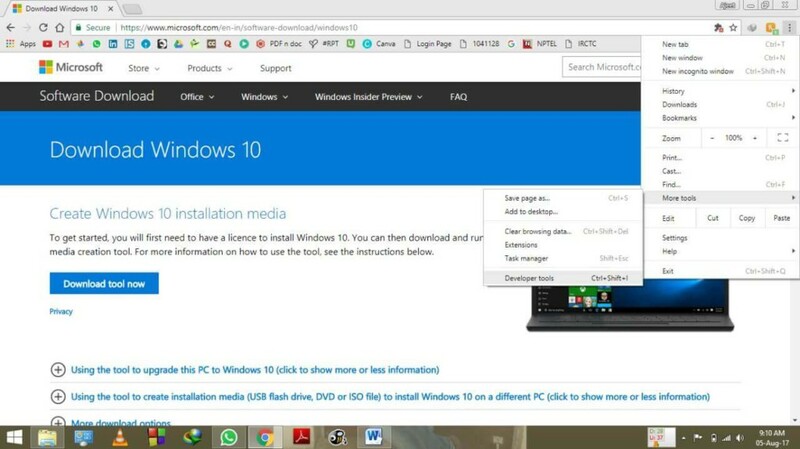 Here’s how to tick Microsoft servers to let you directly download the Window 10 ISO file. Later on, you can use it to make a bootable USB or DVD as you wish. 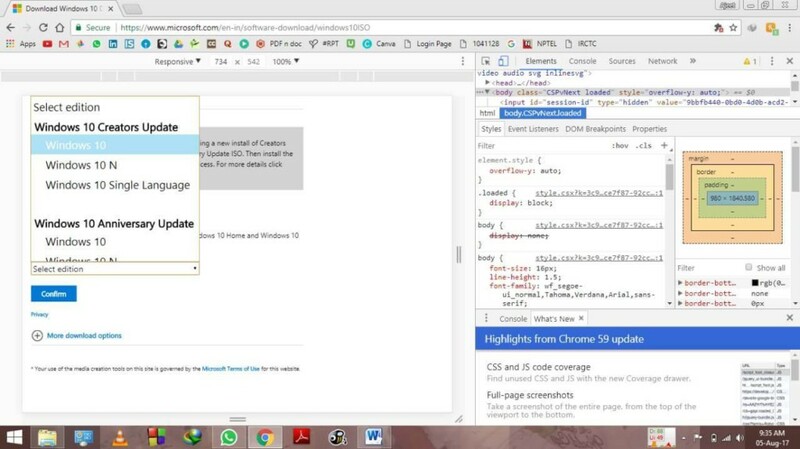 Go to Edge options by clicking on the three dots at the top, and Development tools. Else, you can simply press F12 to invoke the same. 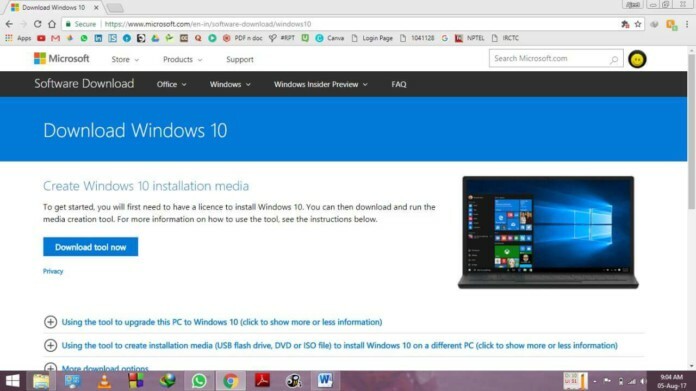 Now, go to the official Windows 10 ISO download page. 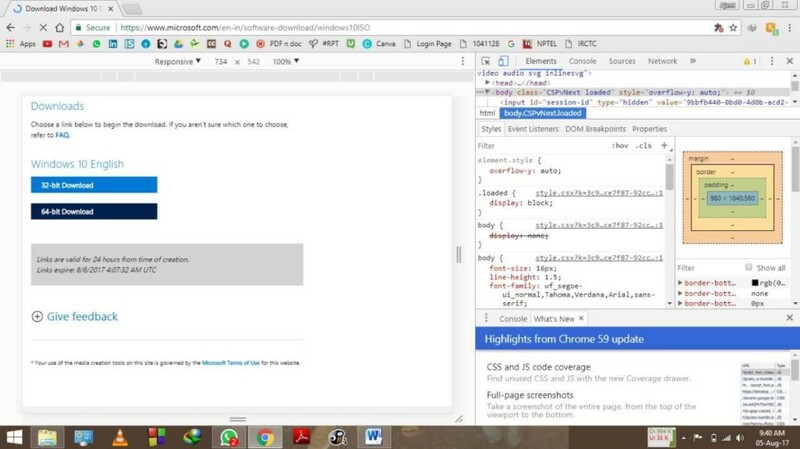 Right click on the page and choose Inspect Element. The Debugger tool will be opened. In it, look for Performance menu, and an eject like icon. In the list of options, change User Agent String to Apple iPad (Safari). The page will reload after doing the above step. Now, it will let you directly download the files on your Windows 10 PC. The process is legal and we have done it so that we don’t have to download ISO again and again. Media Creation Tool has its own benefits. It downloads you the latest and updates files everytime. The above process comes handy when you have to update a number of PCs or your PC doesn’t have an internet connection. Stay tuned to TheReporterTimes for latest Windows news.